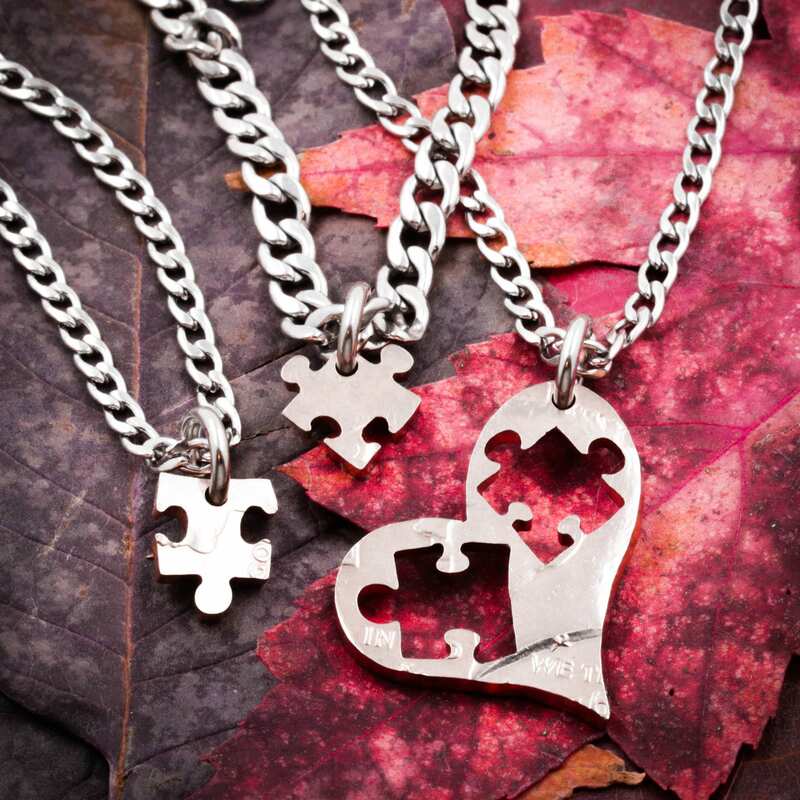 This is a heart necklace that has 2 puzzle piece necklaces cut out of it. 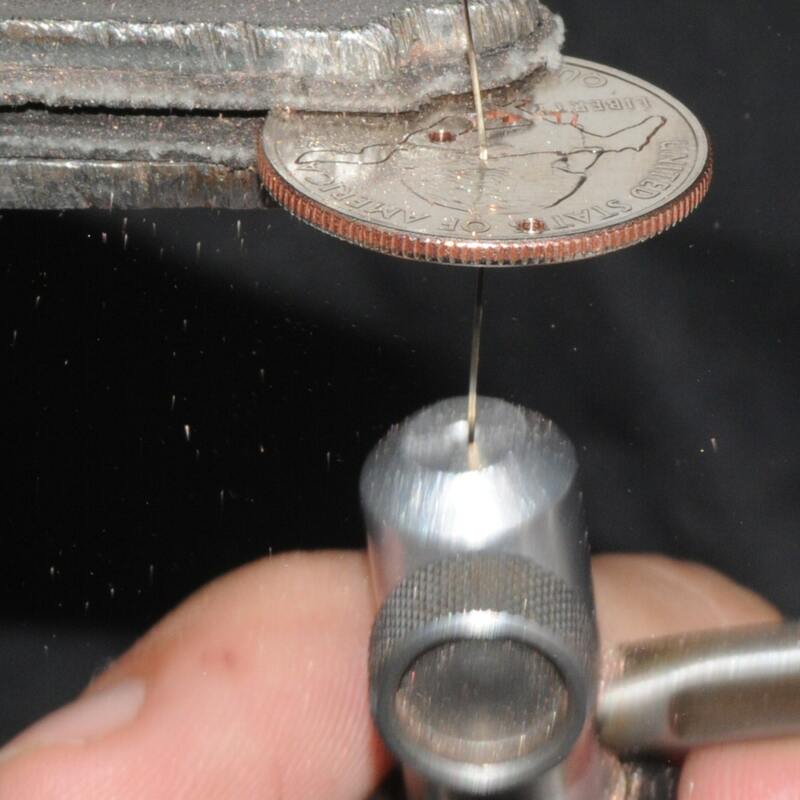 Its great to show the unity of your best friends or family. 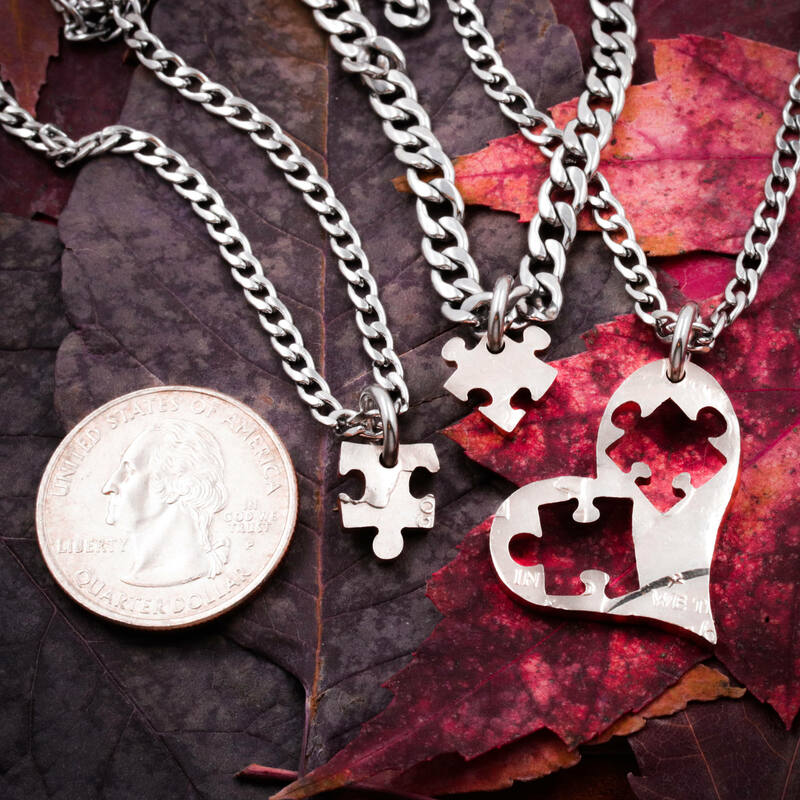 The heart and puzzle pieces are cut by hand from a real US coin. 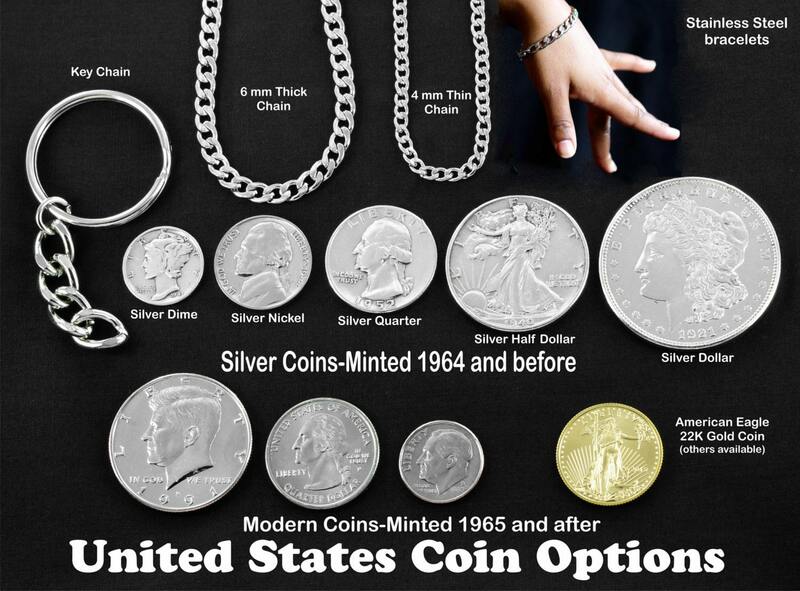 You can choose a half dollar, silver half dollar, or silver dollar.